Elevated to expose the natural dune, this oceanfront residence is a family retreat. Fronted by a pool house with a trellis covered grotto and outdoor fireplace, the components of the design are placed to accentuate the long rolling site. Colorful surfaces contrast and complement the natural qualities of the landscape. The horizontal red stained cedar sided house volume is connected the ground by a vertical grey cement board stair tower. 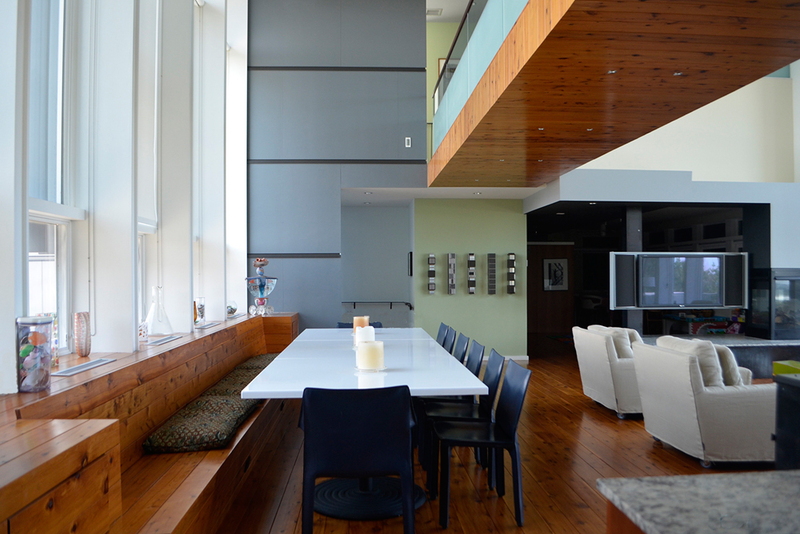 The first living level has an open floor plan with a central 2-story communal space with large east and west facing windows that provided views to the ocean and bay. A bridge at the second floor runs through this space and connects the guest bedrooms to the master suite and office at the upper level. A screen room is placed at the south side of the house and provides the cool, south-easterly breezes off the ocean and through the house. 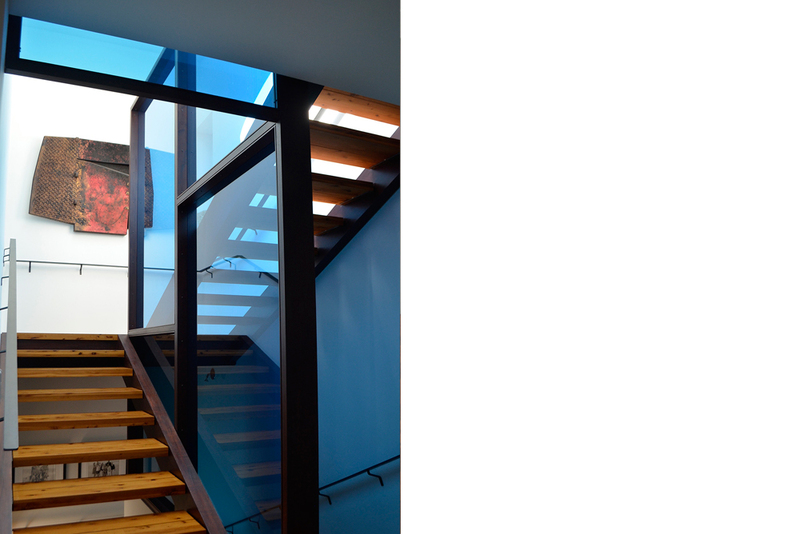 The interior of the house is composed of tung oiled cypress flooring, colorful interior wall surfaces and a mahogany stair core with blue glass panels illuminated by an elliptical skylight in the roof. A recessed roof deck takes in the continuous horizon.